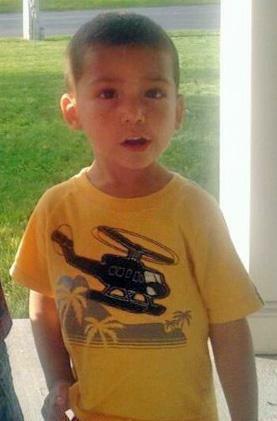 Jeremiah Oliver, 5, went missing late last year and is feared dead. A leading state lawmaker today expressed outrage at the chief of the state’s child protection agency, who was testifying before a legislative panel about the agency’s failure to keep track of a 5-year-old Fitchburg boy who was reported missing in December and is feared dead. Roche, flanked by the department’s chief counsel, repeatedly emphasized that DCF fired the social worker, supervisor, and manager responsible for ensuring the well-being of the 5-year-old boy, Jeremiah Oliver. The boy’s mother, Elsa Oliver, 38, and her boyfriend, Alberto L. Sierra Jr., 22, are both facing abuse charges for violent acts against Jeremiah Oliver, but neither has been charged with murdering the boy. They have pleaded not guilty to all charges. Despite searches by police and concerned citizens in Fitchburg, no sign of the boy has been found. Worcester District Attorney Joseph Early Jr. has said he fears the boy may have been killed. Also today, the Office of the Child Advocate, which is an independent office charged with overseeing state agencies who work with children, released a report on the DCF’s involvement with the boy’s family. The report said that the boy’s family had been involved with a social service agency in another state — but that state never shared its information until after Jeremiah Oliver was reported missing. The report found that DCF asked the agency from the other state, which was not identified, for its information on the Oliver family in 2011 —but never got a reply until after the boy disappeared. “It is critical that child protection records be made available to other states in appropriate circumstances, such as during investigations, so that social workers can assess the risk and safety of the child,” the report said. Child Advocate Gail Garinger said in a statement that the inquiry conducted by her office found that the DCF office that oversees Fitchburg had among the highest caseloads in the state, but that situation did not excuse the failure of the direct social worker and two supervisors to properly monitor the Oliver family. Authorities were alerted to the disappearance of Jeremiah Oliver on Dec. 2 when his sister told counselors at Reingold Elementary School in Fitchburg she and her two brothers were being abused in their home and that she had not seen her younger brother recently.